Museum with more than 100 vehicles of the Hungarian railways. It is an interactive museum. Children and of course the adult can do many things them self, like a trolley ride, a simulator ride and even drive a diesel locomotive (some are paid). There is a model track and a playground. 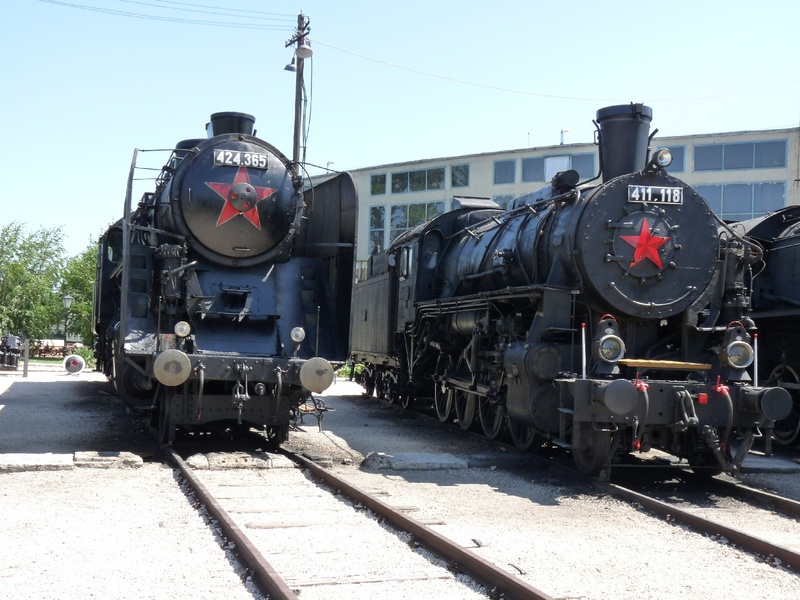 The museum is also accessible from the western station (Nyugati pályaudvar) through a diesel engine. Zöld Angyal Söröző in Budapest 2.7 km 6 min. Butterflymuseum in Budapest 3.0 km 7 min. G1 Kart Center in Budapest 3.0 km 7 min. Palace Duna Plaza in Budapest 3.1 km 7 min. Bella Zoo Park in Siófok 3.1 km 8 min. Dagály Gyógyfürdő in Budapest 3.3 km 8 min. Art hall in Budapest 4.2 km 10 min. Fövárosi Állat- és Növénykert in Budapest 4.4 km 9 min. Városligeti Műjégpálya in Budapest 4.4 km 10 min. Enigma in Budapest 4.4 km 9 min.